Celebrity gossip site Dlisted is a scathing yet mouth watering celeb gossip site. It’s actually mean! But the readers love it. Obviously by the name the Dlisted are supposedly the Hollywood has beens. But the site does feature many stars. It’s forte is the reality T.V. stars that had their fifteen minutes of fame, and other celebrities that used to be more famous than they are. 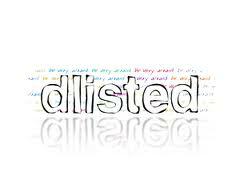 The motto is Dlisted.com is Be Very Afraid, as well you should. Many of the articles are fed in to Dlisted by Buzzfeed and other gossip sites. Also, you’ll see blog comments from the major celeb gossip sites. The narrative is totally audacious, and the comments are highly entertaining if not insulting. For example, Tila Tequila keeps Trying to Kill Herself is a post title. If you’re a straight up type you won’t like this nasty little site. If you’re gossip prone and have ever purchased the National Enquirer, you’ll probably like it. Click logo and visit this raucous site.